There are a thousand ways to enjoy Rompope Coronado. It's a delicious drink on its own, and its sweet and creamy taste makes it the perfect ingredient to prepare desserts and to mix with other beverages. It is believed that Rompope was originally conceived in a convent during the Spanish Colonial Era in the city of Puebla, Mexico. Even when this drink is originally from Mexico, it has been adopted by people all across the Americas as a traditional drink and adapted into traditional customs and practices. While Rompope is available for purchase in stores, many families still make their own Rompope according to strict family recipes around Christmas and New Years. 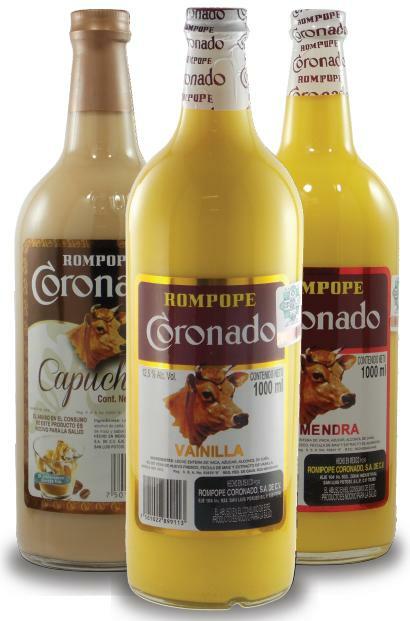 Even though it takes its roots from holiday traditions, Rompope is still enjoyed daily over ice or as a desert poured over berries or in traditional Mexican milk cakes. Click here for more recipes. Contact us to help you find our products in an authorized liquor store near you.